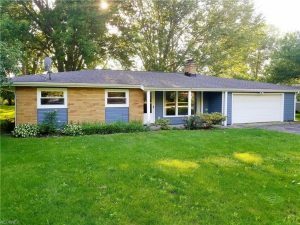 Looking for an affordable 3 bedroom ranch in Perry? This house has many nice features including new siding, new hot water tank, newer carpeting, and a newly poured concrete patio! Not only is there a new concrete patio but there is a huge 32×8 enclosed porch that looks out to the .55 acre lot!